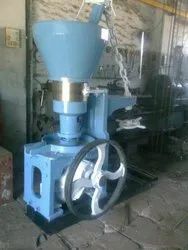 Manufacturer of a wide range of products which include oil expeller, double screw oil mill komet type, oil milll plant, rotary oil mill, oil hand press and oil expeller - hand operated. 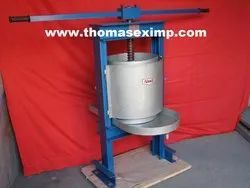 Models Available Modele Disponible Model Modele	Spindle D'arbre	Power Requirement Moteur Requis Output Capacity Per Day Of 24 Hrs Capacity De Rendement Par Jour SSP/M-14	Single/Unique	Electric Motor 1 HP Moteur Electrique	60 - 135 Kgs. SSP/E-14	Single/Unique	Petrol Engine 1.95 HP Moteur Petrol	60 - 135 Kgs. 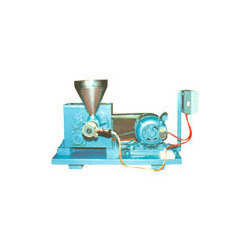 `REEJA’ Brand Tiny Oil Mill Plant equipped with baby boiler, cooking kettle, oil expelling chamber, filter press, neutralizer (optional). 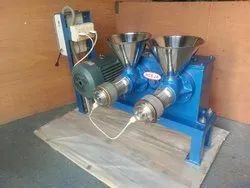 Models Available Modele Disponible Model ModeleSpindle D'arbrePower Requirement Moteur Requis Output Capacity Per Day Of 24 Hrs Capacity De Rendement Par Jour SSP/H-5 Single/Unique Hand Operated Opere a la main 15 - 45 Kgs. SSP/M-5 Single/Unique Electric Motor 1/2 HP Moteur Electrique 40 - 80 Kgs. SSP/E-5 Single/Unique Petrol Engine 1.95 HP Moteur Petrol 40 - 80 Kgs. 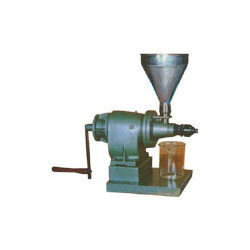 Looking for Various Types Of Oil Expeller ?